I am right in the throws of making a batch of double pocket cards to sell at the Spring Fair next month. 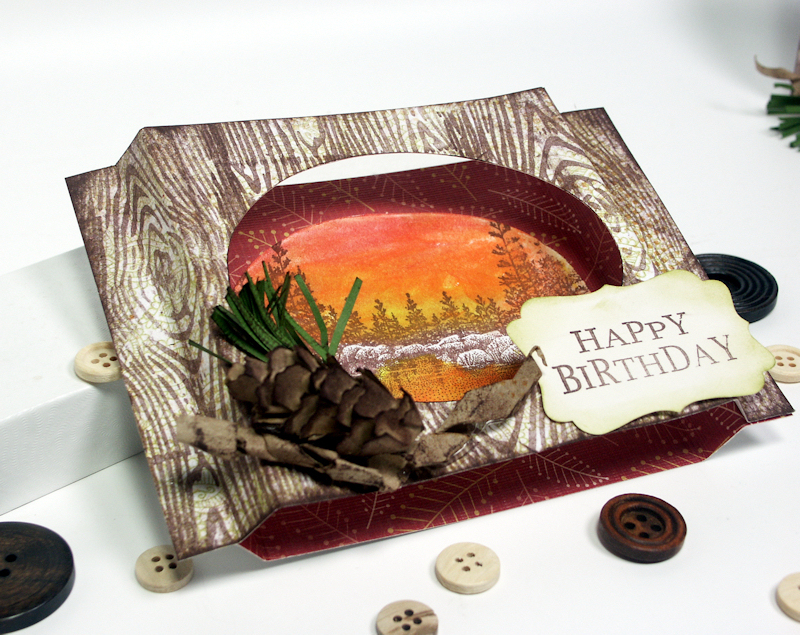 Here is the first one I made using beautiful stamps by About Art Accents. You can win this set of stamps, just leave a comment and I will chose a winner next Wednesday. I think these would be excellent Mother’s Day cards, especially with the seed packets, you could even include a gift certificate to a nursery so your mom could get some gardening supplies and plants too. I hear spring is on it’s way, tell that to the foot of snow we got yesterday! Thanks so much for stopping by and don’t forget to leave a comment on this post for a chance to win these gorgeous stamps from About Art Accents. 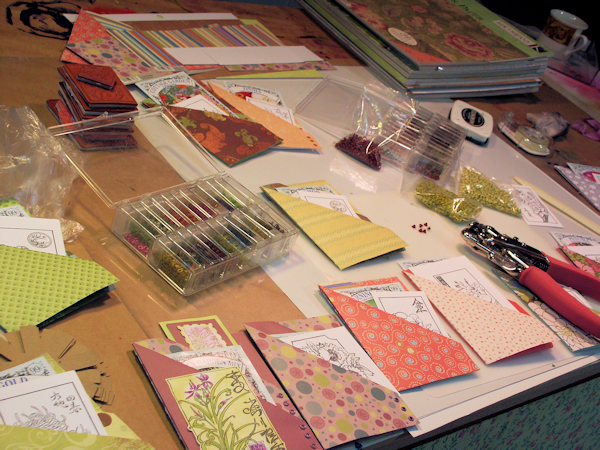 If you want to see more crafty desks visit Julia’s Blog and til next time happy crafting! 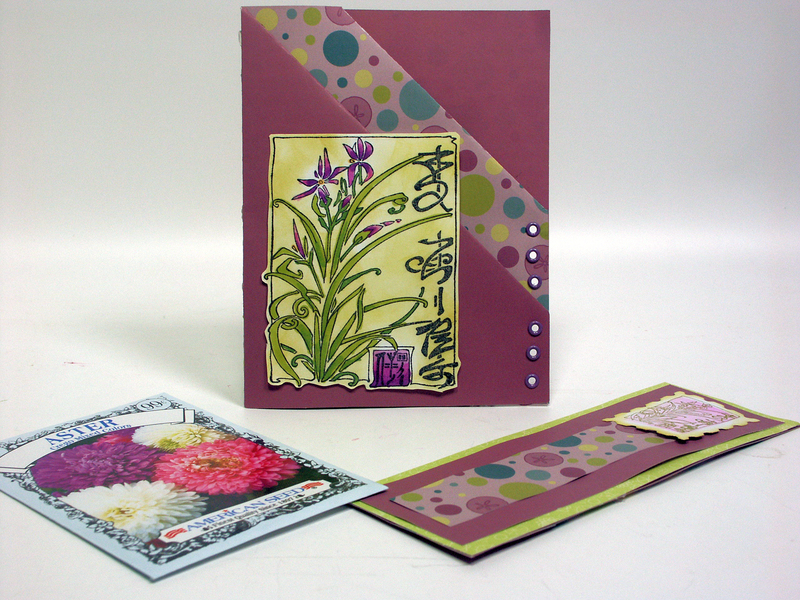 This technique is so much fun that I have made 4 of these cards this week! 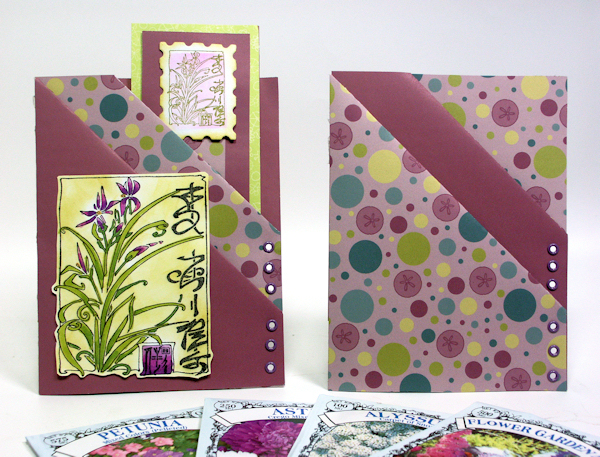 These cards are easy, you can use the supplies you already have and they are quick too! I hope you try this card, you can use whatever colors you like and whatever stamps you have, make it your own. Thanks for stopping by and til next time happy crafting!